The “New Directions Program” run by TCD aims at enhancing the research quotient of the Institute as one of its key thrust areas. In alignment with this larger goal, it is imperative for the faculty to conduct qualitative research that would lead to industry application. The journey from research to innovation requires an in-depth understanding of patents and patent filing process. 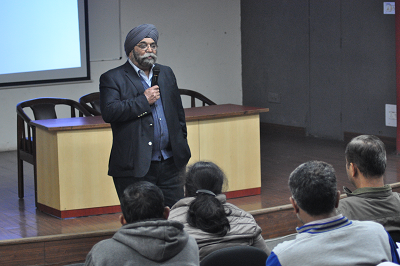 In light of the above, Sanmeet Sidhu, Head - Centre for Training & Development (CTD), organized a one day workshop (March 18th, 2017)for faculty 29 members on ‘Patents and Guide to Patent Process’. The workshop was conducted by consultants from Global Institute of Intellectual Property, a leading organization providing consultancy and training in the domain of Intellectual Property Rights. In his opening address Patrick Collins, VP- OD & Talent Management (Avantha Group) & Head of Human Resources (TIET) underlined the importance of understanding Intellectual Property Rights (IPRs) with specific reference to patents and copyrights in the education sector. The workshop addressed the policies underlying the protection of Intellectual Property (IP) and compared the different ways Institutions and individuals could benefit by protecting different forms of IP. Participants were made to appreciate patent specific terminology, laws & acts governing them, associated filing & registration procedures and protection strategies. The inputs were supplemented with important case laws & case studies. All the participants were certified by the Dean of Research & Sponsored Projects. The Institute has embarked on a journey of investing in its most key resource – Human Capital. The “New Directions Program” run by Trinity College, Dublin is an initiative towards this larger goal and it has been designed to deliver research inspired and outcome based educational experience to students. 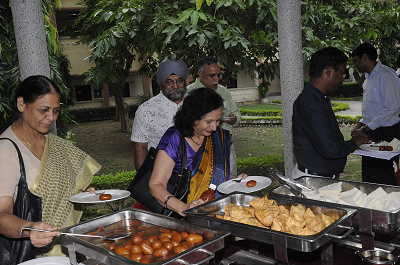 All this spells major “change” in culture, academic and personal spheres of all the stakeholders at Thapar Institute of Engineering & Technology. To this end the Sanmeet Sidhu, Head - Centre for Training & Development organized a two day workshop (March 16th & 17th, 2017) for 37 members on ‘Emotional Intelligence During Change’. The workshop was conducted by consultants from InspireOne | TMI, a leading Leadership and Organization consulting company. In his opening address Patrick Collins, VP- OD & Talent Management (Avantha Group) & Head of Human Resources (TIET) emphasized that understanding change and how to cope with it is key to success during periods of uncertainty and turmoil. Further he accentuated that any change once understood,, one starts engaging better and contributing more actively, thus accelerating the pace of change. To ride the change wave successfully one needs to develop competencies related to emotional & social intelligence, which is measured by EQ (Emotional Quotient). The use of the Personal EQ Meter Tool was an important starting point in making the participants get a better understanding about their Self Awareness, Self Management, Internal Motivation, Empathy and Social Skills. 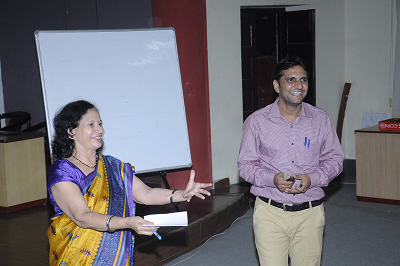 All the participants were certified by the Dean of Faculty Affairs of TIET. 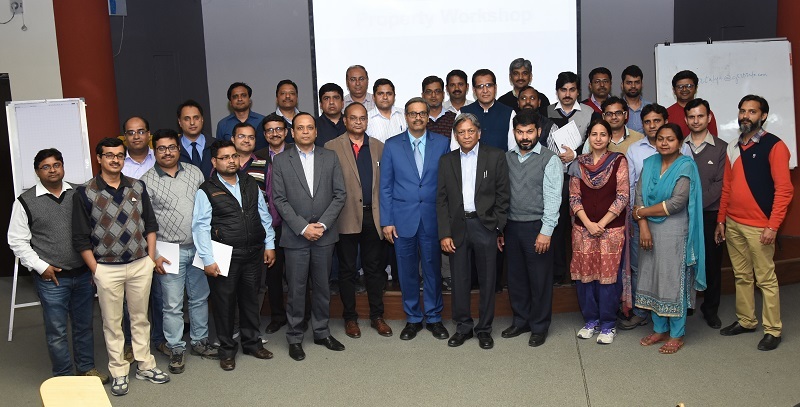 Centre for Training & Development organized a day long workshop on ‘Enhancing Productivity at workplace’ on February 6, 2016 for employees of Central Stores and Finance. The workshop was conducted by experts from 'Mind & Heart Foundation' - a Chandigarh based organization with a pan India presence. It was conducted through participative techniques and focused on aspects like stress management, time management, communication & behavior. 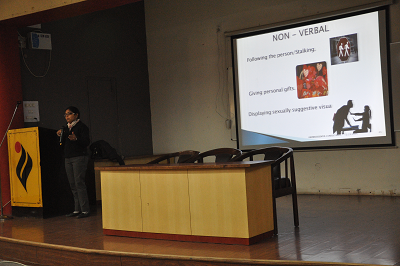 ‘Centre for Training & Development (CTD)’ organized a workshop for non teaching staff on ‘Gender Sensitivity & Sexual Harassment at Workplace’ on December 23, 2015. The workshop was held in the C-Hall, conducted by Ms. Aparna Jain (legal consultant and member of ICC) and chaired by the OSD in the presence of the Registrar and Ms. Alpna Aggarwal (Chairperson, ICC). 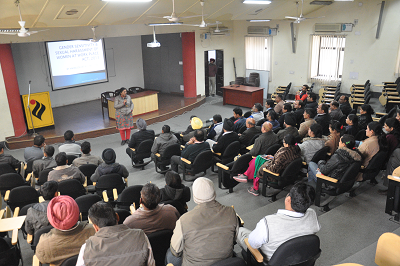 It was attended by over 50 participants and appreciated the key issues related to sexual harassment. The resource person gave insights into various challenges surrounding gender sensitivity at workplace and supported them with examples from day to day life. The relevance of the topic was further enhanced through participative case studies. Centre for Training & Development (CTD), TIETU, organized a session on ‘Decoding Indian Economy for Engineers’ for B.E second and third year students on November 03, 2015 in the main auditorium. The resource person was Ms. Manika Prem Singh, an entrepreneur economist with rich industry experience including that of having worked with the erstwhile National Planning Commission. 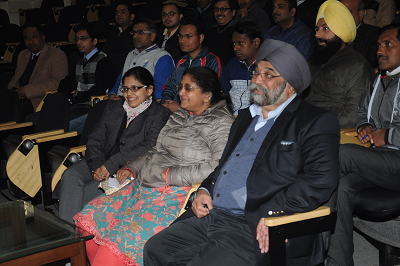 The session spanned over two hours and dissected Indian Economy in a very interesting manner for the participants. It was an insightful experience for the engineers to know the various ways in which Economy could have a bearing on the technical and general environment of the country. The session touched upon basic concepts of Economy and then graduated to explain the inter linkages of these economic dimensions with the business and social fabric of the country. It was followed by a participative interaction between the students and the resource person. 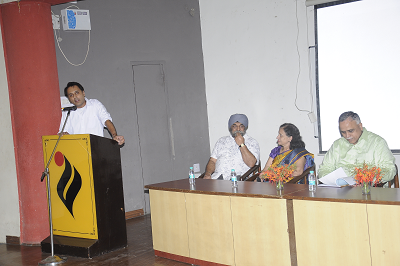 Centre for Training & Development (CTD), TIETU, organized a session on ‘Career Options and Test Taking Techniques’ on October 06, 2015 by experts from GMAC, Graduate Management Admission Council, the organization which administers the GMAT globally. 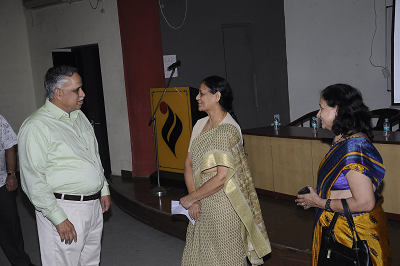 The session was attended by over 100 students from different years of BE. The objective was to give inputs on strategic test taking techniques to help students to do better in various general aptitude tests. The session also addressed various career related queries of students, particularly the ones keen on pursuing management after engineering. Centre for Training & Development (CTD), TIETU, organized a session on ‘Effective Communication as a tool for success’ by Mr. EV Gireesh, Corporate Trainer & Life Coach, Mumbai. Mr Gireesh, an international transformational speaker and success coach with clients like ISRO, NABARD etc, addressed B.E final year students on September 20, 2015 in the TAN auditorium. The principles of effective communication were put across in a very participative and empirical manner, thus helping students to realize the power of communication in professional life. Students were also encouraged to come forward and make impromptu presentations, which were followed by a comprehensive feedback by the resource person.